This Baby Budget Planner Spreadsheet will help you plan and manage your budget for your new arrival baby better. Here is a screen shot that will give you a better idea that what you need to do and how this free baby budget planner spreadsheet can help you. 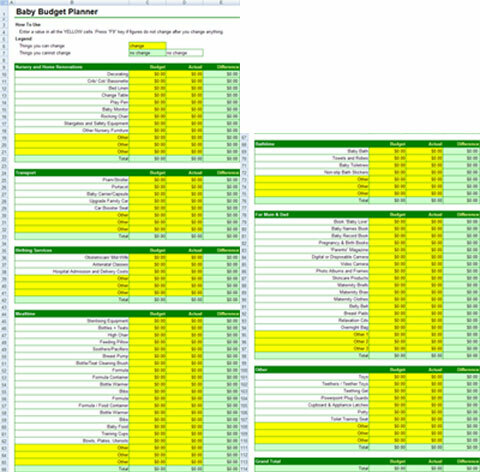 Download FREE Baby Budget Planner Spreadsheet Now!